This entry was posted in African American Women, News, UPDATES on July 14, 2015 by detroitbranch. The following recent blog posts share why AAUW Detroit members joined the organization and what keeps them involved in the work to support women and girls achievement. This entry was posted in UPDATES on March 20, 2015 by detroitbranch. And, for African American women (64%) and Latinas (55%) in the United States the pay disparity is even harder felt. 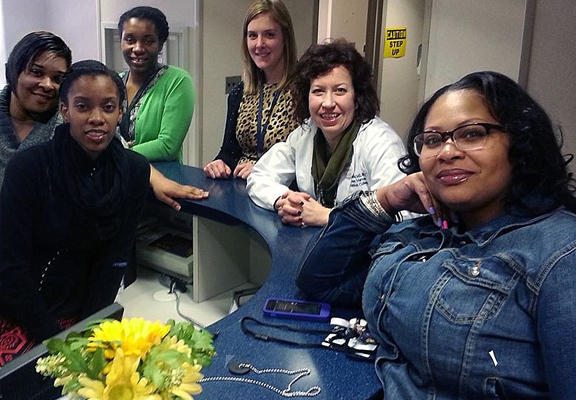 Michigan African American women earn 69 cents to every dollar a Non-Hispanic white male earns. In occupations where women dominate — i.e., elementary and middle school teachers, secretaries and administrative assistants, registered nurses, customer service representatives — men’s median weekly earnings are higher than women’s, according to the Institute for Women’s Policy Research (IWPR) and the Bureau of Labor Statistics (BLS) 2010 data. For example, male registered nurses median weekly earnings were $1,201; women registered nurses earned $1,039, a 13.5% gap in a field in which the share of female workers is 90.5%. In the occupational area of secretaries and administrative assistants, where women represent a 95.7% share, men in those same positions are earning almost five percent more than women ($547 vs. $529). The data shows that in 107 out of the 111 most popular occupations, women have lower median earnings than men, regardless of levels of education, including in the 10 most common occupations for women. State median annual earnings and earnings ratio for full-time year-round workers, ages 16 and older rank Michigan 45 with men’s earnings at $50,053; and women’s earnings at $36,931. So what does that look in more practical marketplace terms? What could Michigan women do with the extra $13,122? If the gender gap did not exist, the additional dollars could pay for (2010 average annual costs): housing ($11,223), food ($3,450), education ($6,458), utilities ($2,331), childcare ($10,114), transportation and fuel costs ($4,011), healthcare ($2,027), pension and social security contributions ($2,427), savings and wealth building ($5,002). Pay equity is not simply a women’s issue – it’s a family issue. Families increasingly rely on women’s wages to make ends meet. Women’s incomes in married households contributed 36 percent of total family income in 2008, up from 29 percent in 1983. This increased income contributes to the overall economic vitality of the nation. All of which means that our collective thinking about pay equality must transform in fundamental ways as it is an economic security issue that impacts everyone. This entry was posted in UPDATES on July 5, 2013 by detroitbranch. This entry was posted in Blog on November 11, 2012 by detroitbranch. The Dearborn Patch recently reported that 4 male Dearborn Public School students were suspended for writing and sending “skank lists” that identified the daughters of Dearborn families. This disturbing and persistent negative behavior in schools across the country targets girls most often, but boys can also be the focus. The Dearborn Public School incident however should more appropriately be called sexual harassment. The more comfortable term of “bullying,” while it can have negative psychological effects that interfere with education and work, has some distinguishing differences from sexual harassment. According to AAUW’s recent research “Crossing the Line“, bullying is usually defined as repeated unwanted behavior that involves an imbalance of power through which the bully intends to harm the bullied student or students (Espelage & Swearer, 2011). Bullying is not necessarily sexual in nature and the bully may pick a victim for any and no reason. Students in the AAUW Crossing the Line survey were asked to share one incident during the 2010-11 school year that had the most negative effect on them. In the section of the survey which examines the emotional toll of sexual harassment, a number of impact areas were evaluated including gender differences. Based on gender differences, the research show girls are more likely than boys to say they have been negatively affected by sexual harassment. Indeed, 36% of the girls surveyed said “having someone make unwelcome sexual comments, jokes, or gestures to or about you” had the most negative impact (AAUW 1993, 2001; Fineran & Bolen, 2006). Also, the gender of the harasser impacted outcomes. “Being sexually harassed by a boy was more strongly related to behavior problems for both male and female victims than was being sexually harassed by a girl.” (Felix & McMahon, 2006). It is important to understand and know the differences between bullying and sexual harassment in order to effectively prevent and respond to it. AAUW’s Crossing The Line is a comprehensive report that offers administrators, teachers, parents and students ideas for reducing sexual harassment, including: allowing students to report problems anonymously to holding school-based workshops on the topic. The PDF report is available at the AAUW website. This entry was posted in Blog and tagged research on May 25, 2012 by detroitbranch. AAUW Detroit Branch presents its 13th biennial “The Power of A Woman’s Voice in the Community & Award Summit,” Friday, June 22, 2012 – 6 PM to 10 PM at the Michigan First Conference Center in Southfield, Michigan. You may also register by mail by downloading the 13th Annual Summit_registration form with your check for $20. This entry was posted in UPDATES on May 2, 2012 by detroitbranch. Based on findings from a nationally representative survey conducted in Mayand June, 2011, this report presents the most comprehensive research to date on sexual harassment in grades 7-12 and reveals some sobering statistics about the prevalence of sexual harassment and the negative impact it has on students’ education. The report concludes with concrete recommendations and promising practices for preventing sexual harassment directed at school administrators, educators, parents, students and community members. We hope readers will be inspired to take new steps toward making schools free from sexual harassment. AAUW has been at the forefront of sexual harassment research for over a decade, including the 1993 Hostile Hallways survey and the 2001 follow up report, Hostile Hallways: Bullying Teasing and Sexual Harassment in School. 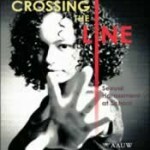 Hard copies of Crossing the Line may be requested through ShopAAUW after November 15. This entry was posted in AAUW on November 15, 2011 by detroitbranch.